After private investigator Candace Gallagher agrees to testify against a shooter, the single mother finds herself—and her daughter—targets of a gang leader. But her family friend, former navy SEAL Marco Quidel, is determined to protect them both…and help bring the criminals to justice. Undercover FBI agent Gabriel Decker has a mission: make sure Elizabeth Madison Kennedy lives to testify about the mafia hit she witnessed. 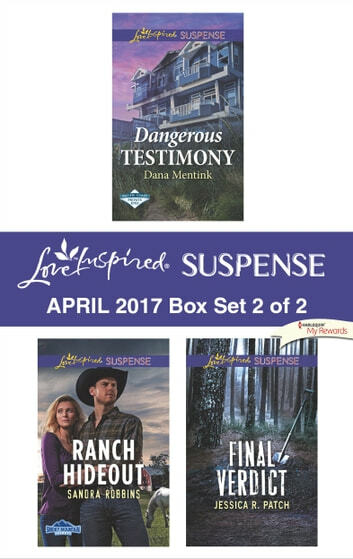 A Smoky Mountain ranch seems like the perfect place to hide…until the location is leaked and thugs intent on killing her arrive. Defense attorney Aurora Daniels’s current case isn’t the first where someone threatens her. But when attempts are actually made on her life, she knows this time is different. 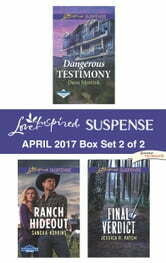 And while they constantly clash over matters of the law, Sheriff Beckett Marsh is the only person she can trust to save her.